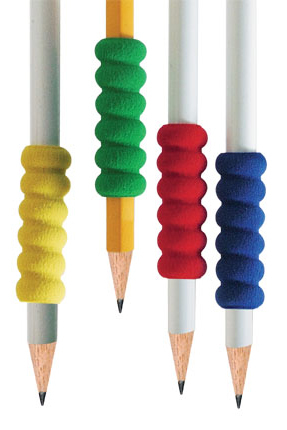 Foam Pen and Pencil Gripper For A More Secure Grip. Soft and comfortable PVC material provides a more secure grip when placed over pens and pencils. The flexible triangular shaped gripper fits easily over the pen or pencil to assist with stability when writing. 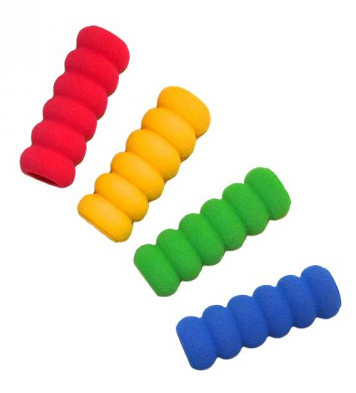 Available in a single pack containing four assorted coloured grips.